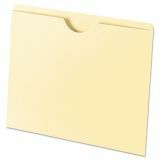 Universal Economical File Jackets, Letter, 11 Point Manila, 100/Box - Cost-conscious filing option secures paperwork. Back tab is 1/2" higher than front tab for labeling. Thumb cut for easy access. 11 pt. 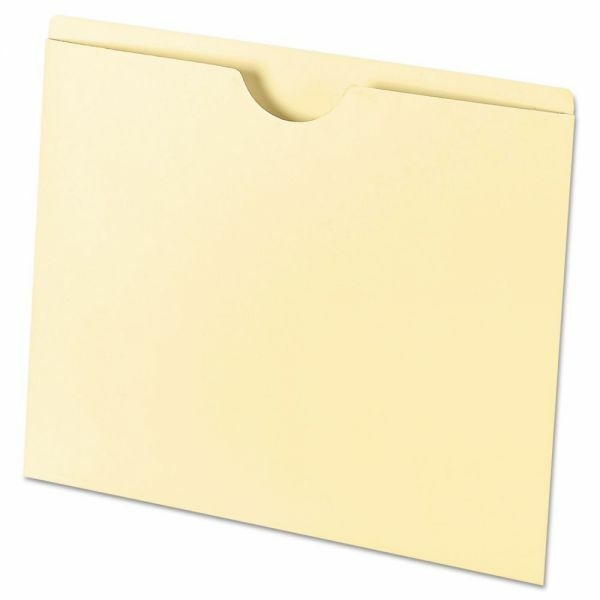 Manila stock won't bulk up filing cabinets.